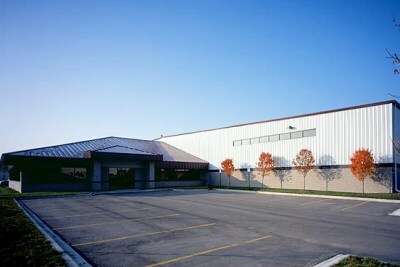 This pre-engineered facility has a total of 49,290 square feet of shop/ warehouse and 5,600 square feet of office. 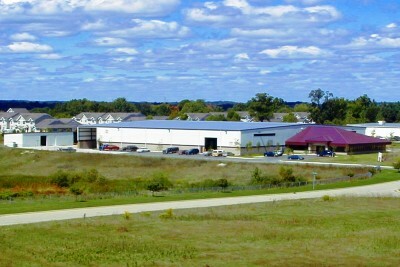 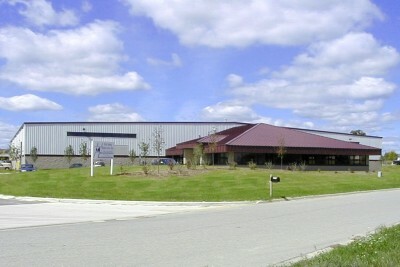 A separate unheated 9,300 square foot building provides additional storage space. 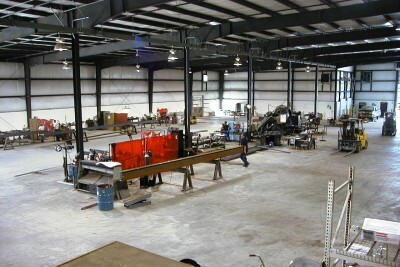 The structure is VP clear span rigid frames for the office and continuous beam frames for the shop. 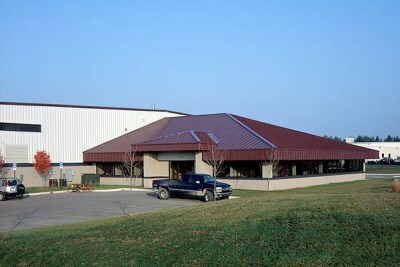 The office roof is at a 4:12 pitch with architectural standing seam panels. 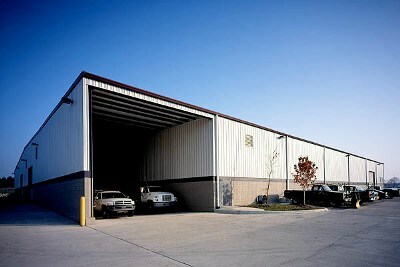 The shop has a 24 foot low eave and a 0.5:12 roof pitch.